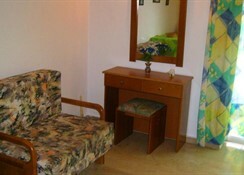 Angela Corfu Hotel is a small, cozy and comfortable hotel located in Gouvia Corfu. 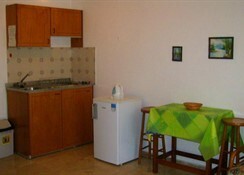 The hotel provides an easy access to many places in Corfu. 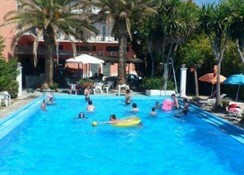 There is a swimming pool with parasols and loungers situated near the area and a small area for kids to play. 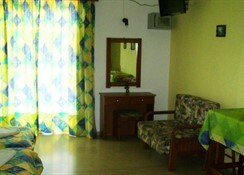 The hotel also arranges for different sports and sightseeing activities, if requested for. Angela Corfu Hotel features comfortable and cozy rooms equipped with private balcony overlooking the swimming pool, single/twin beds, color television, refrigeration, air conditioning and a safe or coffer to store all your valuables. There is swimming pool surrounded with sun loungers at the hotel. Kids can enjoy themselves at the small play area. Angela Corfu Hotel organises for sightseeing tours and sport activities which include tennis, golf, cricket, sailing, hiking, cycling, horse riding and bird watching. 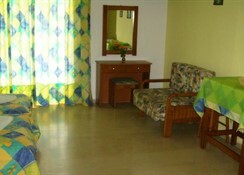 Angela Corfu Hotel provides easy access to many sightseeing places in Corfu. It is located around 13 km away from the Corfu International Airport. 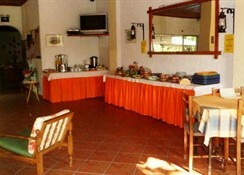 Places like Old Fortress Corfu, Casa Parlante and The Liston are located near the hotel.